The Sea Hunt Gamefish 27 has teeth. Big, sharp, shiny teeth. 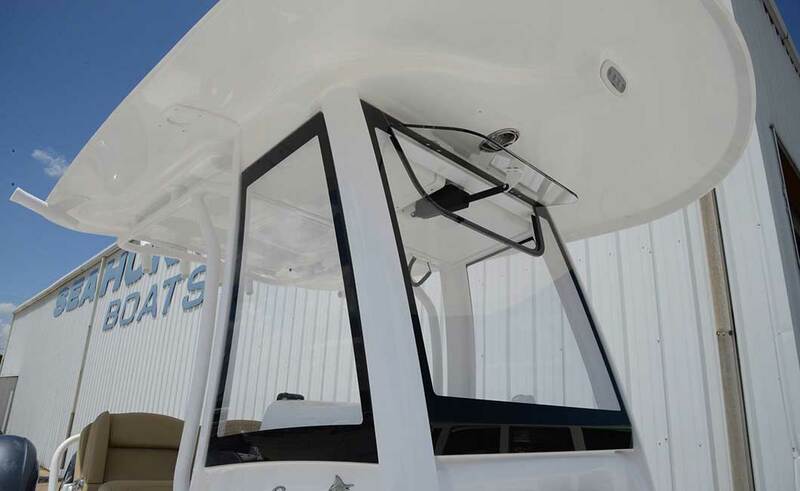 Item number five on the list of must-haves in our Best Center Console Fishing Boats article is livewell capacity and quality, and talking about livewells is a great place to start when you’re focused on the Sea Hunt Gamefish 27. On a boat of this size you’d hope for 40-gallons of livewell capacity, expect 30-gallons, and consider 20 minimal but perhaps acceptable. 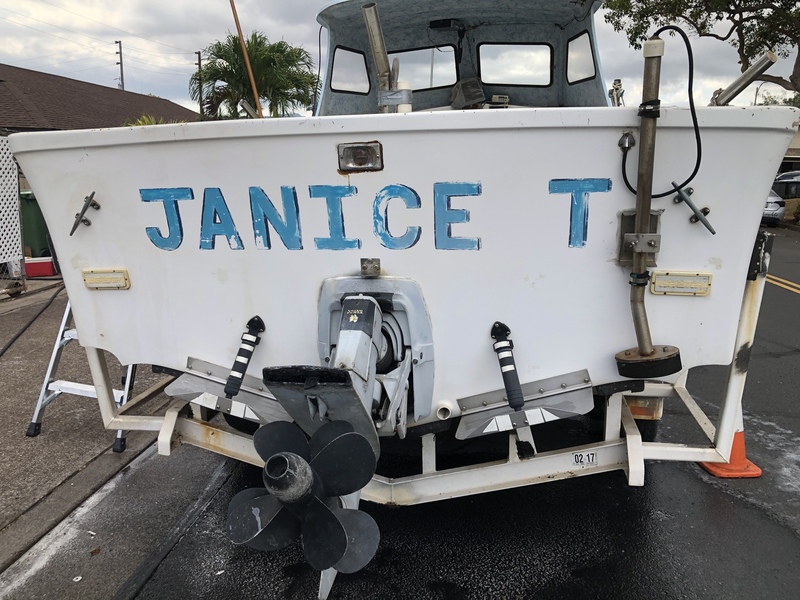 But this boat blows those expectations out of the water with a 40-gallon well in the leaning post and a second 30-gallon well in the transom. And the fact that Sea Hunt dedicates that much space to keeping your livies frisky says a lot about the attitude this boat is designed with. You want a fishboat that’s armed to the teeth and ready to go on the hunt? Look no further than the Sea Hunt Gamefish 27. Now let’s say you’re out at the fishing grounds, and kingfish are piling onto those live baits one after the next. 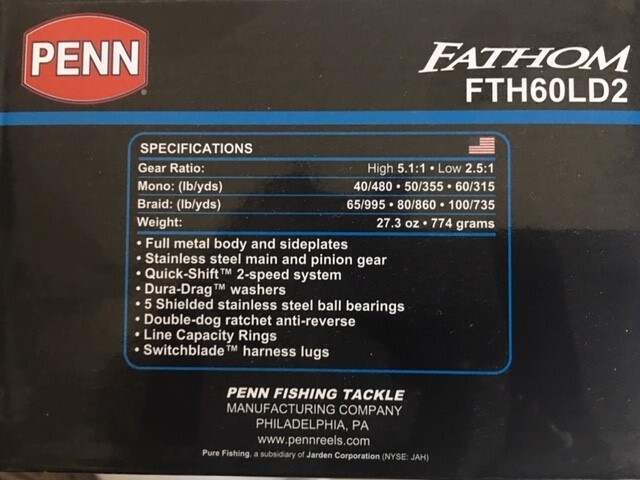 On most boats of this size you’d hope for a pair of 100- to 120-quart fishboxes to slide those future fish steaks into. On the Gamefish 27, you have a 260-quart transom box, another 200 in the deck, and a pair of 172-quart boxes under the forward seats. 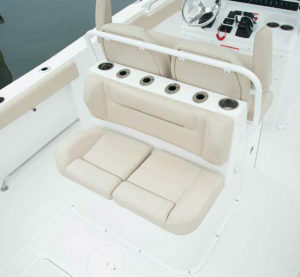 Yes, it’s true that forward seating is to some degree a trade-off of fishability for comfort – just be sure to remove the backrests and cushions so they’re out of the way, before you leave the dock on fishing trips. And other than the existence of forward seating we don’t really see any other sacrifices made in the name of luxury, which is a breath of fresh air in today’s world of serve-all-masters center console designs. The Gamefish 27 sports rodholders in the gunwales, on the T-top, and behind the leaning post. Total out-of-the-box capacity: 14. Still, the builder does take a few extra measures to make sure you’re not in for a tough day at sea. The helm enclosure has a standard electric-actuated vent window, there are coaming bolsters ringing both the cockpit and bow cockpit, and a windlass with an integrated anchor roller sits in the stem. All those items are standard features, but here’s one that’s a real shocker: Sea Hunt also integrates a mister system into the T-top, so you can chillax on those dead-calm, oven-like August afternoons. 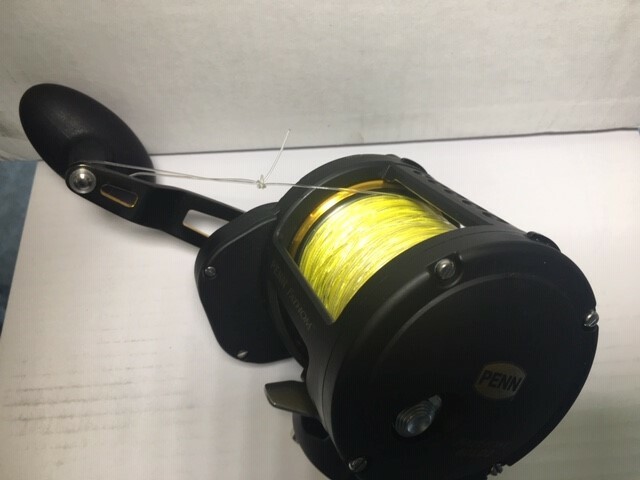 Take note of the fact that this T-top, which also sport fore and aft spreader lights, courtesy lights, and stereo speakers, taken along with the full integrated helm enclosure is the biggest difference you’ll see between new model Gamefish 27s and ones with some age on them. Older models had the standard-issue half-height wrap-around windscreen, which doesn’t offer nearly as much protection at the helm. 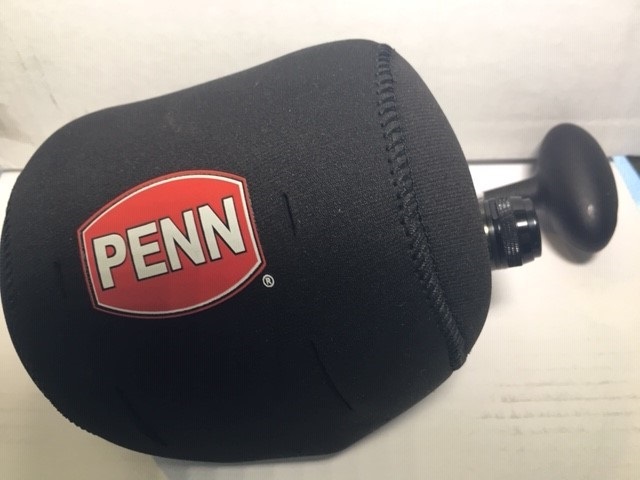 The full helm enclosure offers much better protection than a half-height wrap-around windshield. 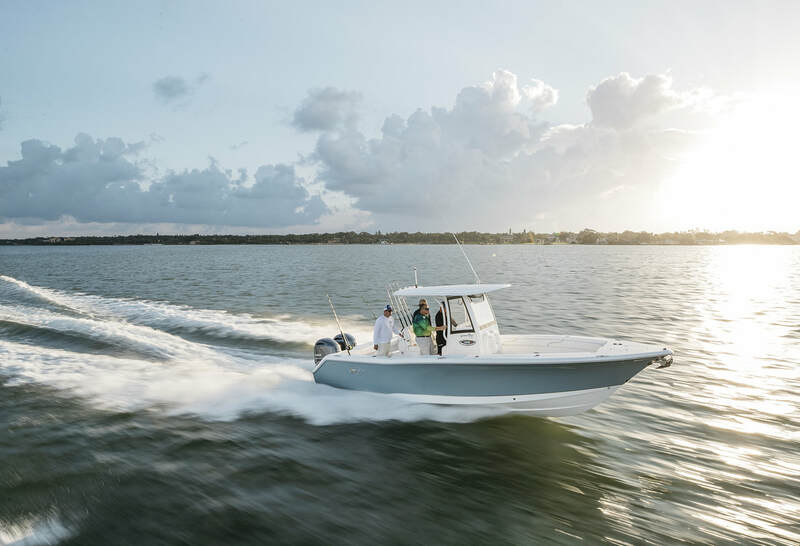 The Gamefish 27 runs on a variable-degree deadrise hull, which sports a 60-degree entry, 24-degrees of deadrise amidships, and 21-degrees at the transom. The idea of a variable-degree hull like this is to maximize aggressiveness at the bow to split open waves, while also getting a stability boost by reducing deadrise aft. 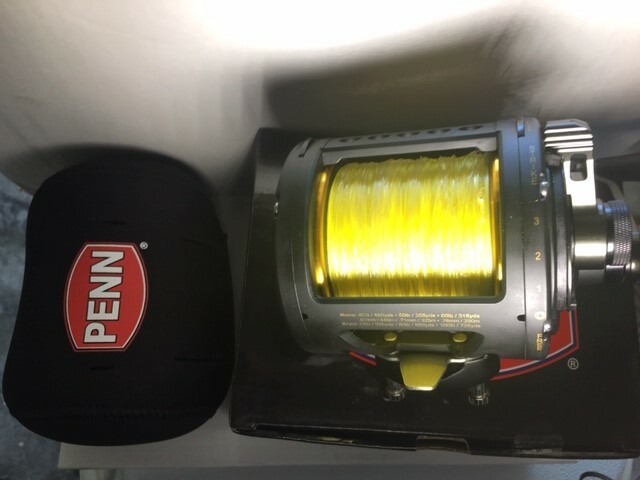 It works, and the Gamefish 27 gets even more stability thanks to its broad nature. Beam is a whopping 9’9”. Compare that to 9’3” for the Key West 263 FS, 9’6” for a Robalo R272, and 9’8” for a Pursuit S288. Fuel capacity – 179 gal. Freshwater capacity – 19 gal. And while gobs of beam can hamper performance in some cases, we’ve got to say that on this boat it seems to be a non-issue. 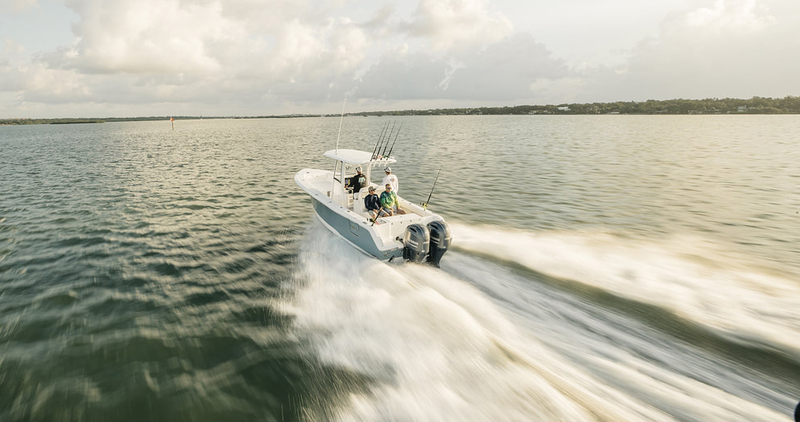 With a pair of Yamaha F200 outboards slung on the transom, the Gamefish 27 can cruise at a thoroughly respectable 38.6 mph at 4500 rpm. And at that speed, it burns 10.8 gph to get 2.56 mpg. Top-end hits 52 mph while burning 39.2 gph, for 1.33 mpg. Note: We didn’t gather these numbers ourselves, but pulled them from Yamaha’s Performance Bulletins. In our experience their reports usually reflect numbers that match ours within a tenth of a gph/mph or two, so we’re calling them entirely trustworthy. Performance is thoroughly respectable with a pair of F200s, and if you want more juice you can have it – max power is 500 horses. So what aren’t we thrilled about on the Sea Hunt? No boat’s perfect, but our biggest beef is actually with Sea Hunt’s warranty. We think this is a well-built boat, and we wish the company planted its feet a little more firmly behind it. 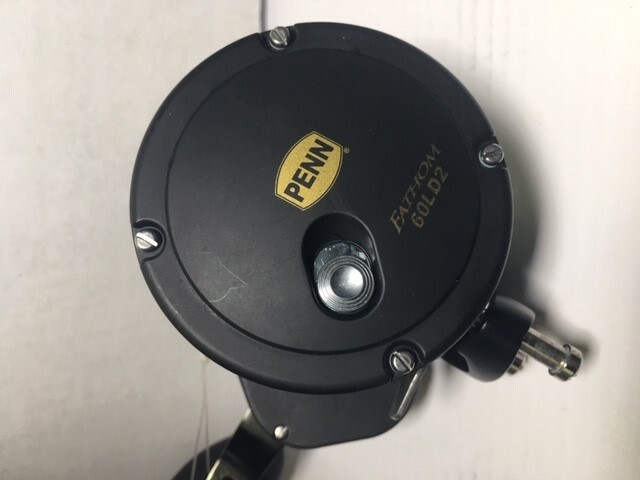 Gel coat finish, osmosis, blisters, cracks, and crazing are excluded from a one-year warranty? Aww, c’mon folks. 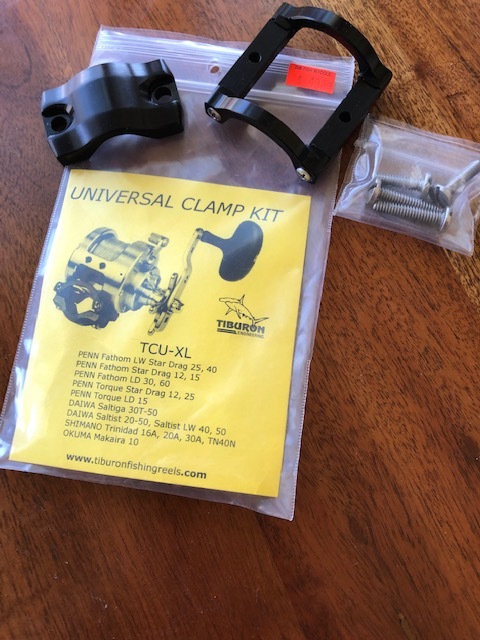 One could also whine about the clunky, hard-to-stow nature of the backrests for the forward seats (yep, you’ve heard us make that complaint about plenty of other boats, too), but having them can be make-or-break for some family anglers and like we’ve said before, you can always leave them at home in the garage. 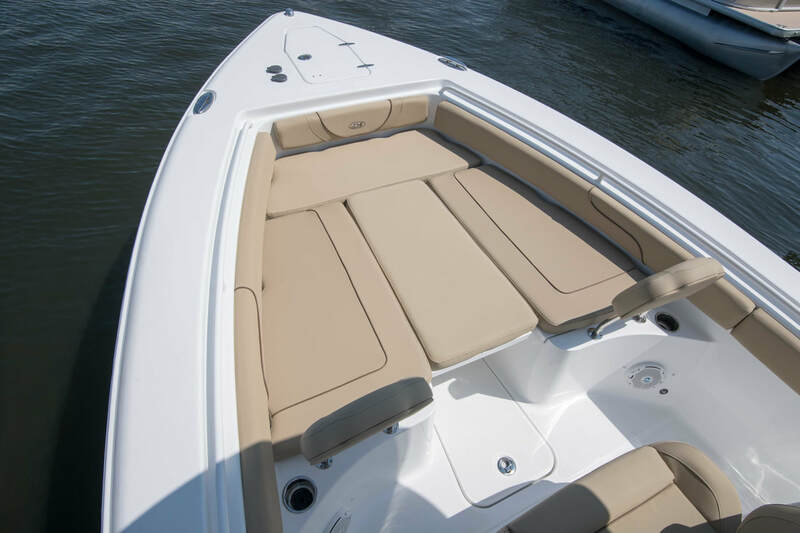 Those who need comfortable forward seating to be part of the mix will have no problem with this boat, and if you want to order the optional fillers, you can turn the bow into a sunpad. One other thing we need to touch on: the Gamefish 27 comes about as well-rigged with standard features as any you’ll find, which is an awesome thing when it comes to figuring out just how much the boat will cost you (plan on a starting point of around $130K). We’d suggest adding the kingfish-style side-winding T-top rodholders, and upgrading to Yamaha Helm Master controls gives you a notable edge thanks to features like Fish Point and Drift Point. But beyond adding these items and electronics, this boat comes ready to rock and roll. Even underwater LEDs are part of the package – a package that provides some serious fish-hunting teeth, right out of the box. For more information, visit Sea Hunt Boats.